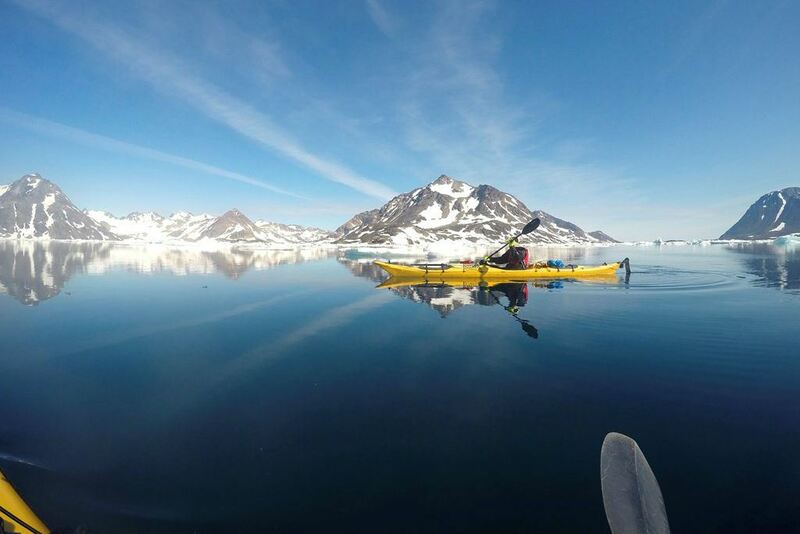 "I have travelled a lot and to many fantastic places, but this ... this is unbelievable!" What's included: Guide, food for 10 days, boat transfers, tents (7 nights) and camping equipment, guesthouse (1) and hostel accommodation, kayaks and kayaking equipment. Accommodation: Tents (7 nights), guesthouse (1) and hostel (1). 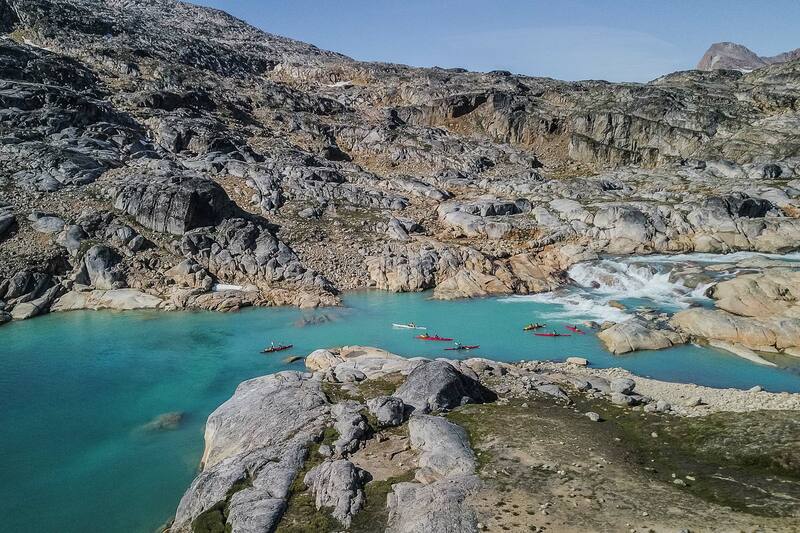 East Greenland is famous for its pristine and unforgiving landscape, with colossal jagged mountains stretching as far as the eyes can see. 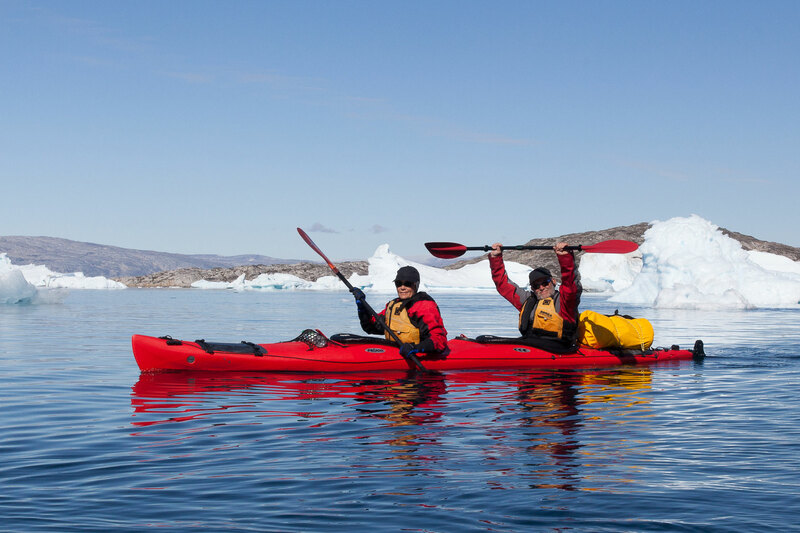 Gain first-hand experience in how the Inuit traveled from various hunting grounds to another a few generations ago. 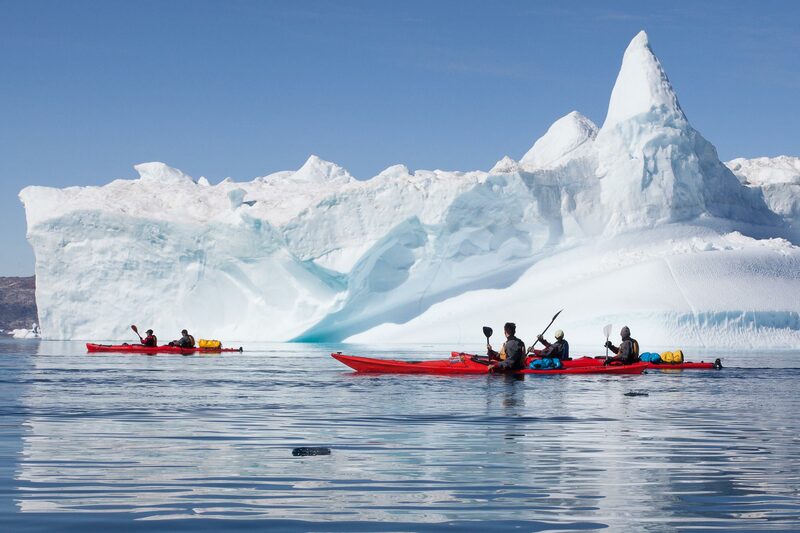 On this kayaking tour it is not uncommon to encounter curious seals, while listening to icebergs crumbling in the distance. While you paddle through the domain of the giants – the whales, you may feel their deep breaths from afar in this dreamlike corner of the world. 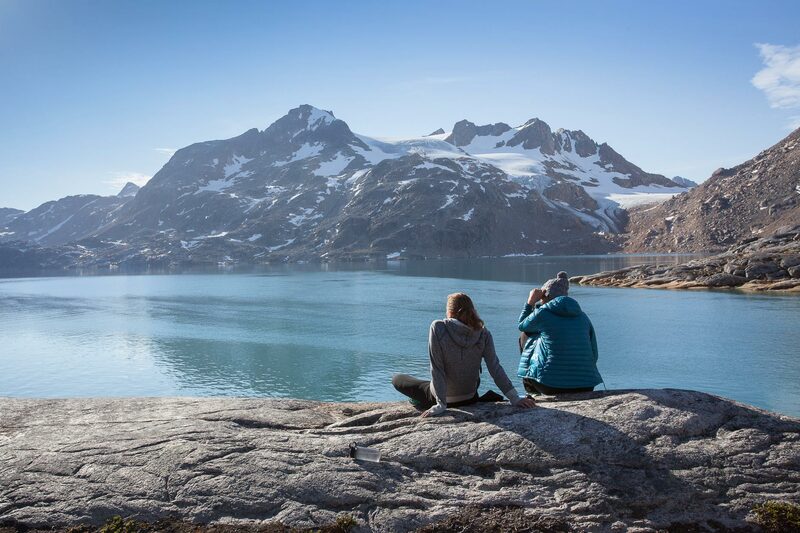 During the hikes you will get up close with the forces of nature unlike any other and immerse yourself into a savage wilderness carrying a sweet scent of the fragile flora growing in impossible conditions in valleys and fjords carved by glaciers over thousands of years. 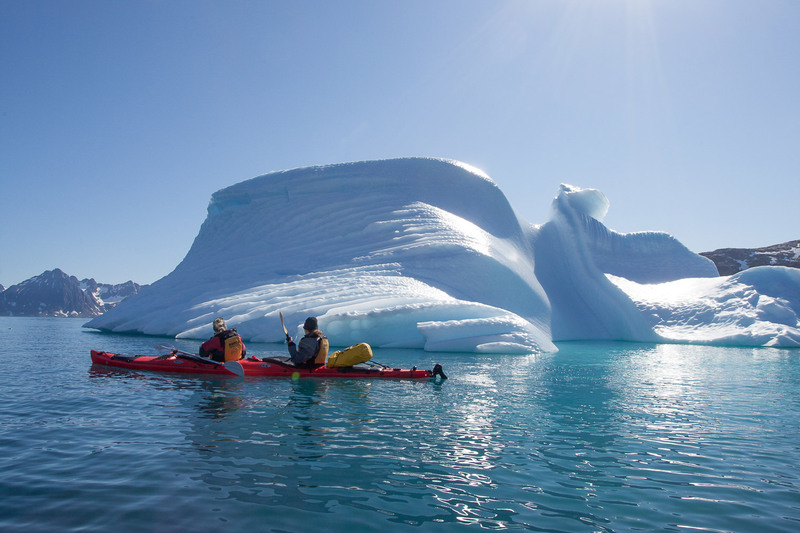 The inhabitants of the area are just as vivid as any wild flower, so while you sail by the friendly fishermen you will understand why the Inuit is known as “the smiling folk”. 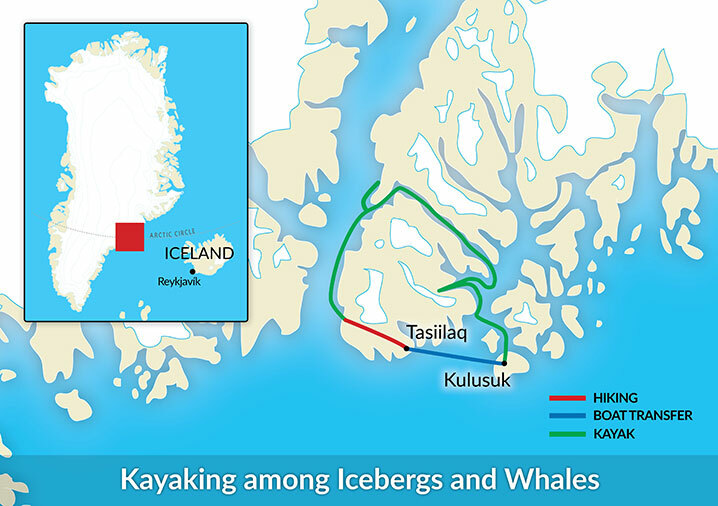 Included: Guide, food for 10 days (from lunch day 1 to breakfast day 10), boat transfer: Tasiilaq – Kulusuk, tents (7 nights, 2 pers. 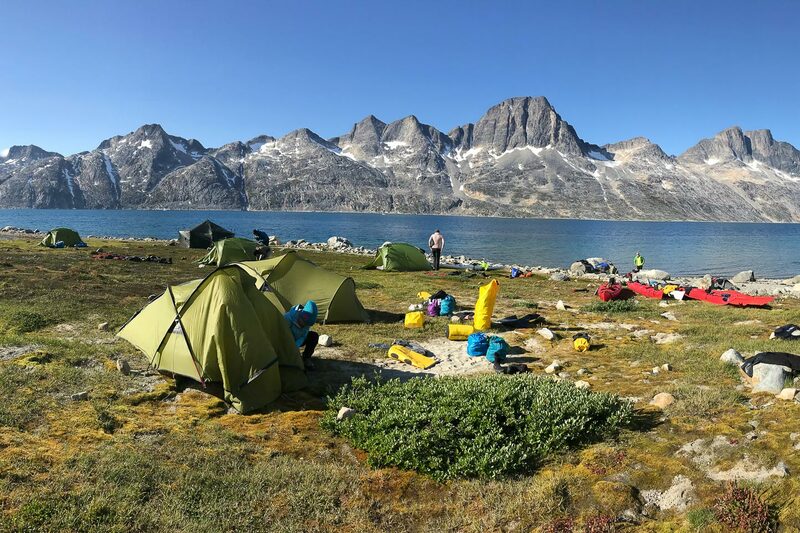 in each tent) and camping equipment, kayaks and kayak equipment, transport of kayaks and equipment and 1 night in a guesthouse in Tasiilaq (shared rooms and bathrooms) and 1 night in a Sleepingbag accomodation in Kulusuk Hostel. Not included: Flights to/from Kulusuk (can be added on the first and last day of the trip - please choose when you book online), sleeping bag, travel insurance, any expenses derived from unexpected bad weather or delays in flights or boats, anything not stated on “what’s included”. 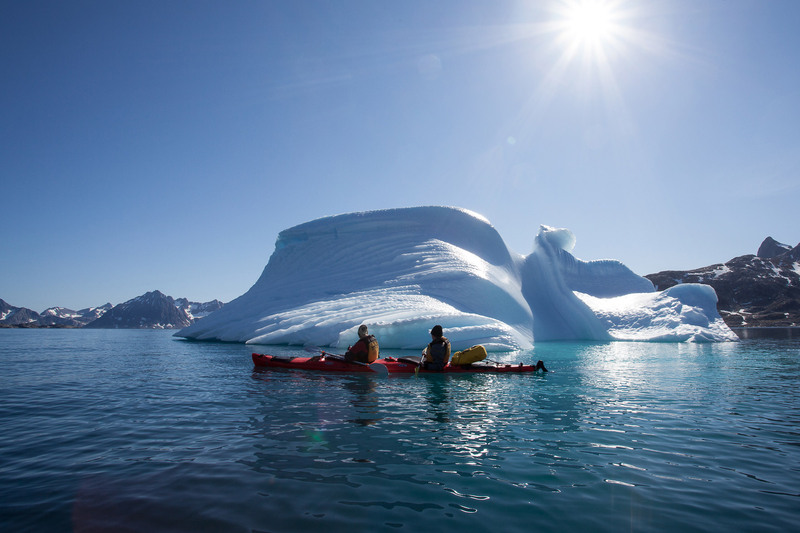 When arriving to Kulusuk we do the final preparations and packing of kayaks and start paddling around noon between beautiful icebergs towards Apusiaajik Island where we will see our first glacier – and then west towards our campsite. 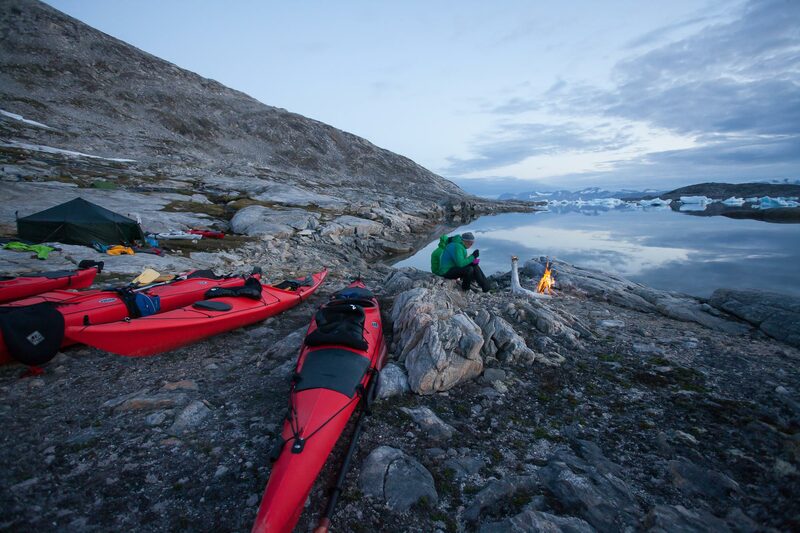 We aim to cross Ammassalik Fjord to a beautiful campsite in a small bay on east coast of Ammasalik Island. Accommodation: Tents. Kayaking: 5-6 hours, 15-20 km. 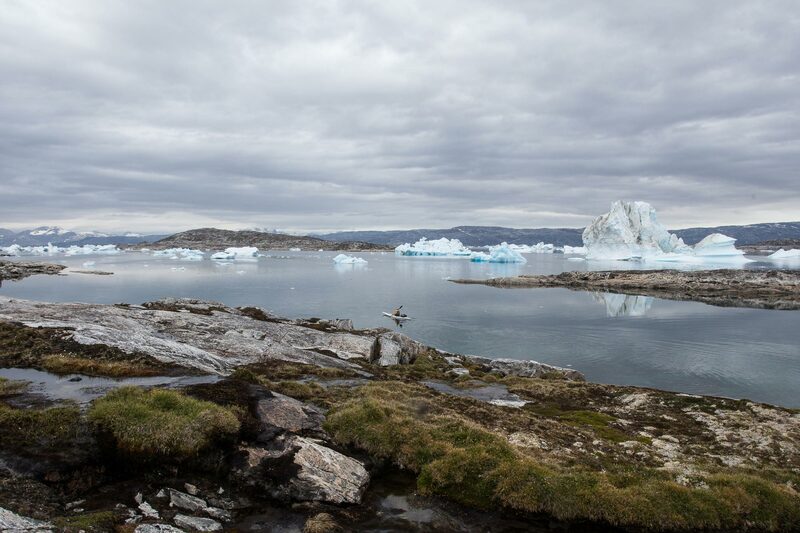 Today we head first north and after a while further west, deeper into the stunning fjords of the east coast. Our destination for today is at the end of Sammileq bay. 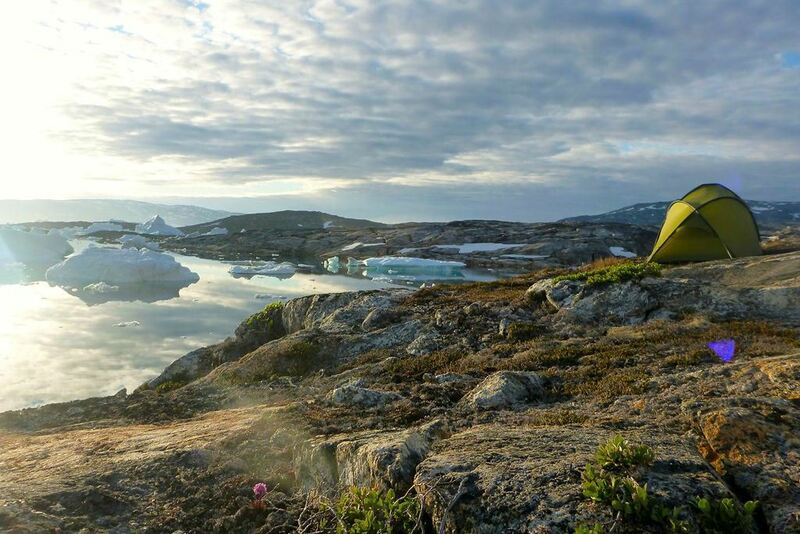 Our campsite is situated next to a river surrounded by impressive high peaks and glaciers. Accommodation: Tents. Kayaking: 4-6 hours, 10-20 km. We head towards Ikaasatsivaq Fjord, still among high peaks, glaciers and huge cliff faces. We pass an abandonned village and go between small islands if the ice allows us to do so. This is one of our longer days. We stay overnight next to a glacier halfway along the fjord. Accommodation: Tents. Kayaking: 7-8 hours, 20-25 km. After half a day paddling in the fjord surrounded by mountains so tall that they make you feel tiny and humble, we stop in the small Inuit settlement of Tiniteqilaaq. 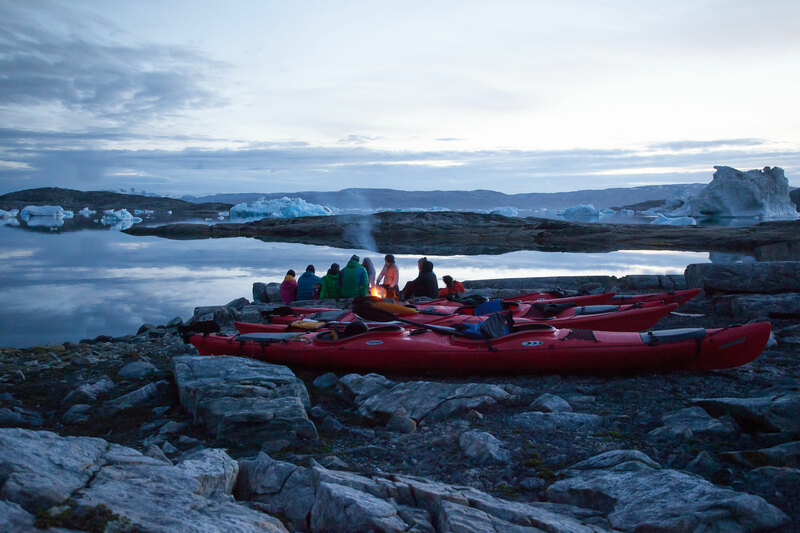 After spending some time in the village, visiting the shop and greeting the locals we steer our kayaks into the magical ice filled Sermilik Fjord and navigate our way around icebergs towards north to a bay and a well-earned rest after a long day. Accommodation: Tents. Kayaking: 7-8 hours, 17-22 km. 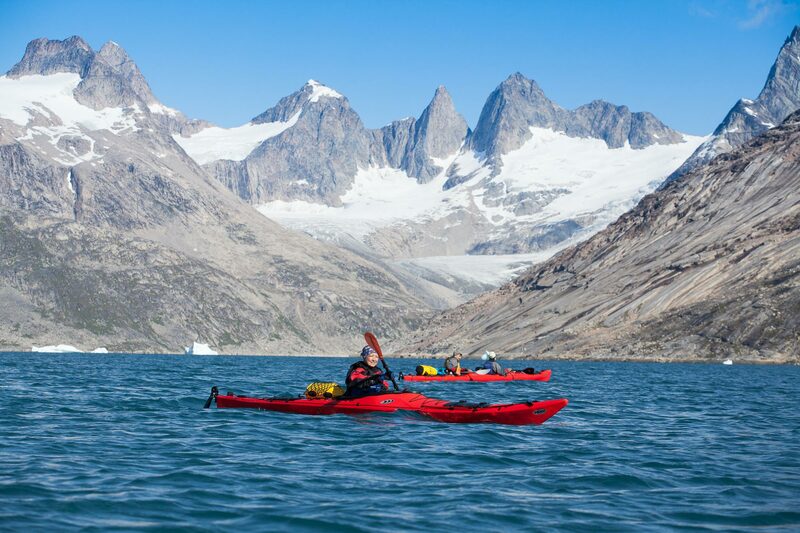 To really grasp the enormity and beauty of the area it’s good to leave the kayaks behind for a day and head up to the mountains for a better view. 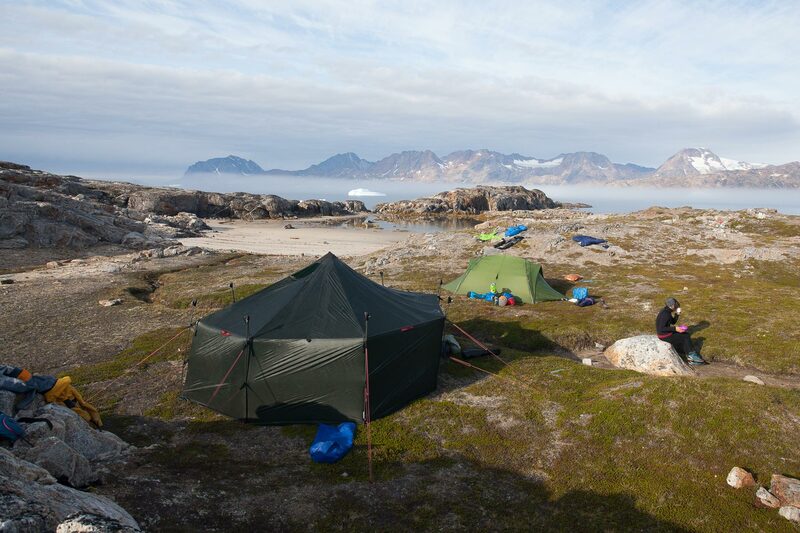 From our beautifully located campsite we hike uphill to the top of Innertvik (543 m). 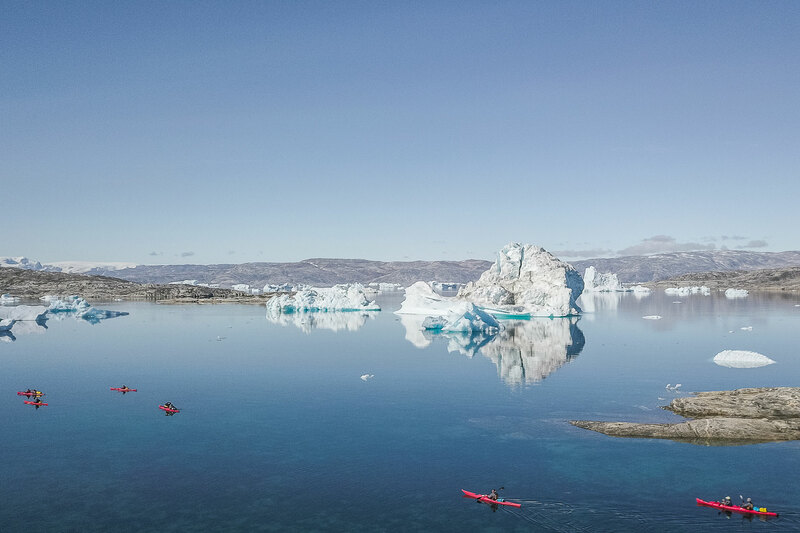 A wonderful spot to view the whole Sermilik Fjord and to get a good look at the Greenland Icecap. Accommodation: Tents. 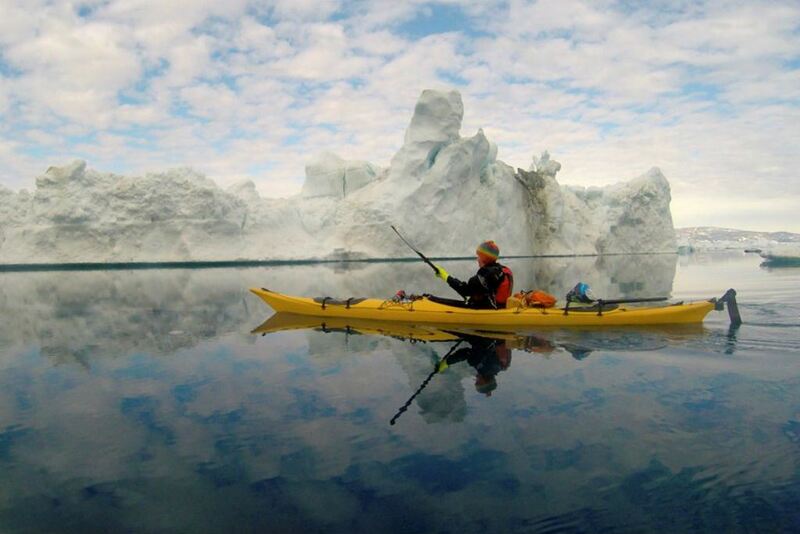 We continue south in the Sermilik fjord finding our way through this world of icebergs. 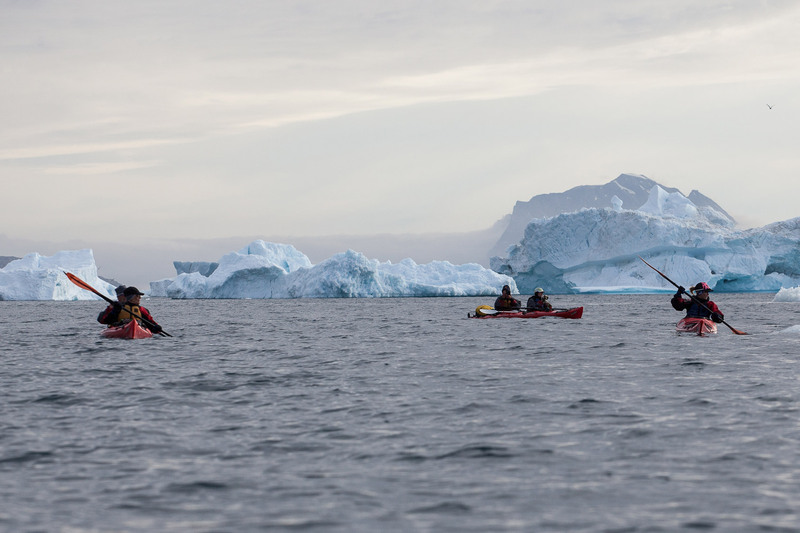 We will enjoy the mezmerising ice sculptures, listen to the thunder-like sound of icebergs breaking and turning while looking for curious seals surfacing between the ice. In the afternoon we will arrive to the area of Pupik where we spend the night. Accommodation: Tents. Kayaking: 7-8 hours, 20-23 km. We leave the hut in the morning for this last day of kayaking. 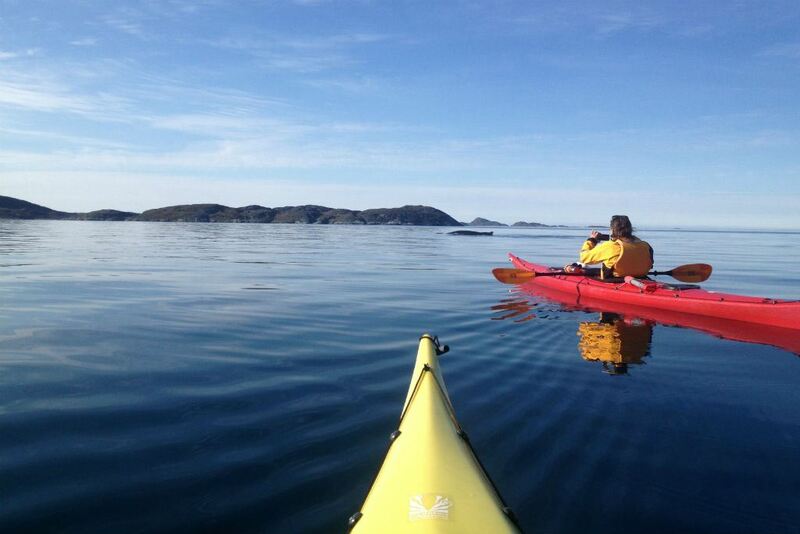 We follow the west coast of Ammassalik Island further south. Following closelly the coastline we pass a nice sand beach and the last few gigantic icebergs before we head into a quiet bay and our last campsite on Ammassalik Island. Accommodation: Tents. Kayaking: 6-7 hours, 15-20 km. 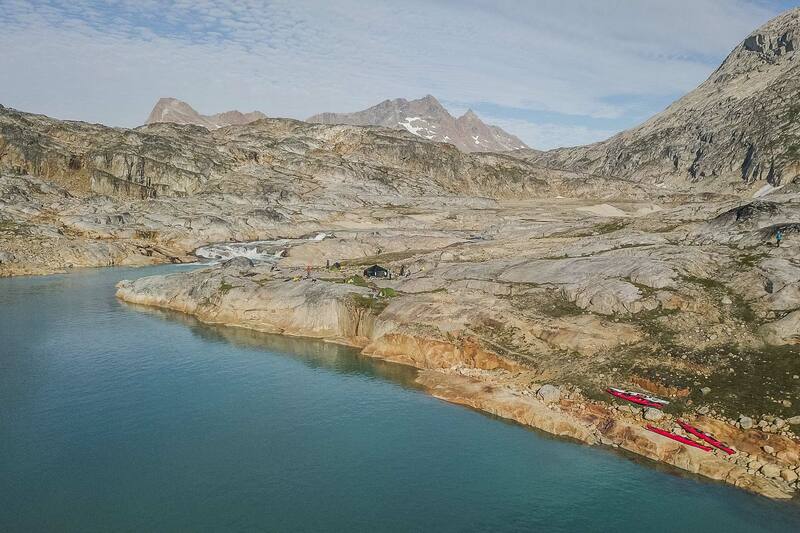 After sending our kayaks off in transfer boats we will start our walk crossing the Ammassalik Island towards Tasiilaq. Walking first gradually uphill to a pass where there is a great view of the Sermilik Fjord that we are now seeing for the last time. Then we head downhill and on flat ground into a different and more fertile landscape. We pass a waterfall and some beautiful lakes on our way to Tasiilaq where we arrive in the late afternoon. 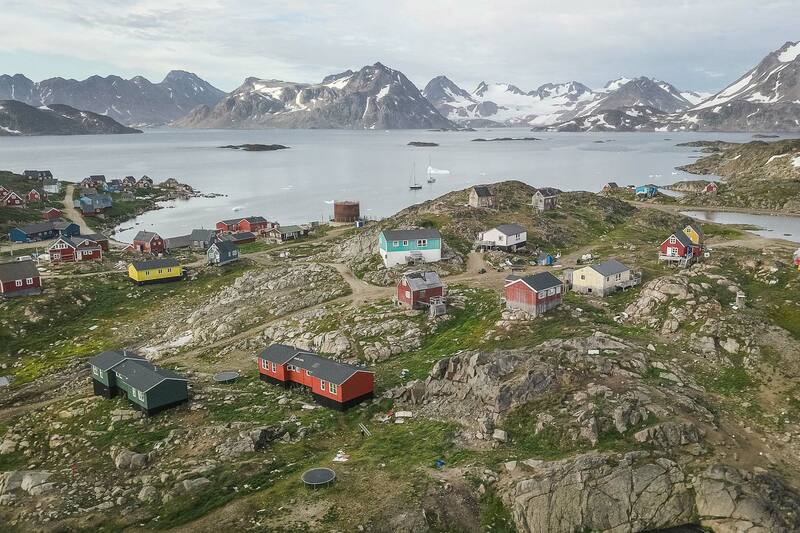 Today we have the day to explore Tasiilaq - the largest town on the east coast with a population of about 2,000 and one of the fastest-growing towns in Greenland. You can go for a visit at the local museum, experience the live local life at the harbor, go for a walk in the blooming Flower Valley or buy some souvenirs to bring home. At the end of the day, we take a boat transport to Kulusuk, where we stay the last night. The boat ride itself, is a great experience. 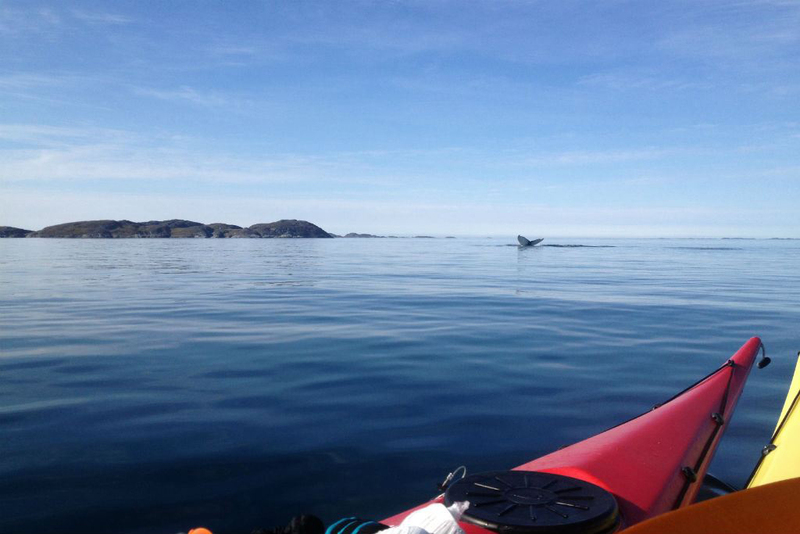 Make sure to look out for whales surfacing between the ice. It is a truly amazing experience seeing and hearing these giants in these surroundings. Today we pack our things and head for the airport for the transportation back to Reykjavik. And that is the end of our journey. 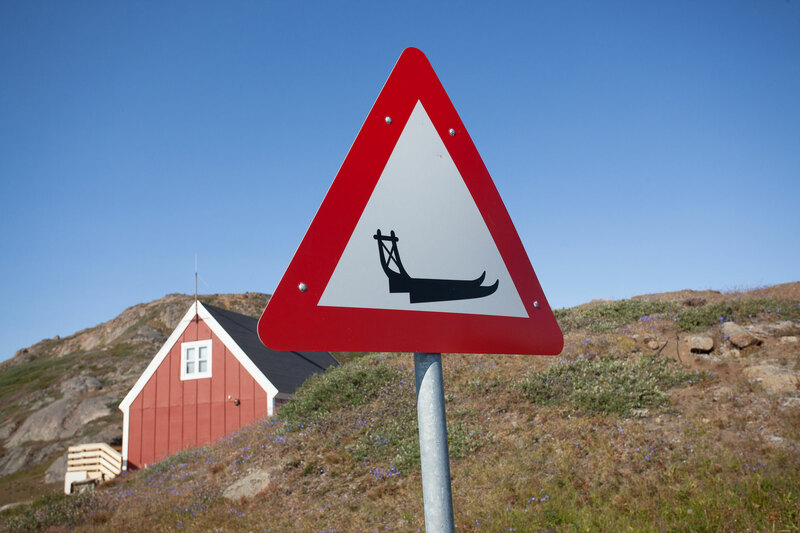 NB - Icelandic Mountain Guides (IMG) reserves the right to change the itinerary without prior notice should this be necessary due to weather or other reasons that are beyond IMG‘s control.